Now that we actually live in a reality where Marvel’s Cinematic Universe can call itself home to the most iconic superhero in the world, it’s weird to look back at the time when Marvel and Sony’s relationship over Spider-Man was a bit frostier than it is now. Times have changed, though, and it seems like will be in this happier status quo for the long haul. While it’s to be expected—this deal was never just going to be for Civil War, Homecoming, and then cameos in future Marvel films or something—this is the most frank a Sony executive has been about the new status quo staying for the foreseeable future. We’ve had hints already, of course, with the expansion of projects like the Spider-Man animated film, or even beyond the movies to the new deal the two companies have struck over a Spider-Man video game franchise exclusively for Sony’s Playstation consoles. 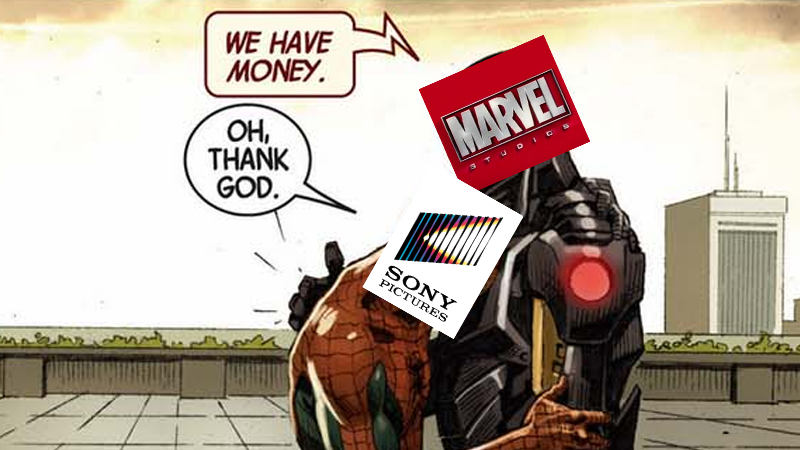 But yes, Marvel and Sony are really the best of buds—and as long as the most lucrative superhero in all of comics-dom keeps raking in the money, they will be for quite some time.